Being an entrepreneur, a doctor, a teacher, and a mother of two, altogether, takes a lot of effort and incredible time management skills. What Maureen Salarda does to accomplish these tasks on a daily basis is worth sharing to other budding entrepreneurs. <>Most professionals’ daily routine commonly consists of waking up in the morning, preparing to go to work, working the entire day, coming home in the evening, and getting much needed sleep at night. But for Dr. Maureen Salarda, there’s always something that has to fit in between. The doctor-entrepreneur barely has time to rest, but she thinks it is fine because she loves what she’s doing. Being a Gamot Publiko franchisee, she is thankful that her business is still related to her profession. 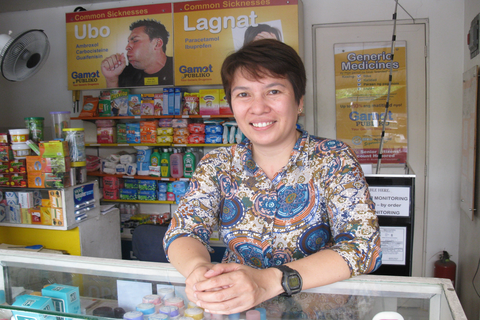 Her franchised drugstore opened in May 2012, occupying the garage of her family’s ancestral house in Project 6, Quezon City. This was her first time being a franchisee. She admitted that Gamot Publiko was not the first franchise she had in mind. “I considered other well-known drugstores first. I was really willing to buy a franchise but whenever I have questions, they’ll always redirect me to a third party. They had to call the higher office before they can give me any response,” shared Dr. Salarda. Gamot Publiko, on the other hand, did not give her a hard time. Thus, Dr. Salarda easily knew that this was the right franchise for her. “I attended their franchise orientation and I knew right then and there that Gamot Publiko is what I’m looking for. They provided everything--employees, product stocks, advertisement and promotions. They really helped me a lot,” she recalled. ‘If symptoms persist, consult your doctor.’ But whom would the doctor consult if her business is having problems? 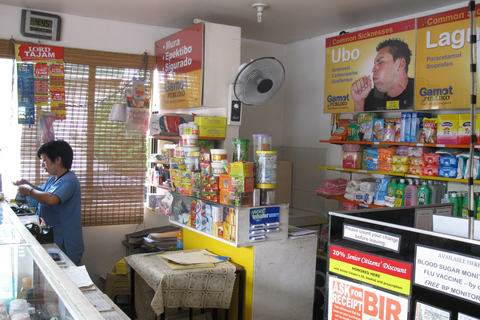 Prior to being a franchisee, Dr. Salarda opened several small drug stores. But she had to close each of those just after a few months due to incurred losses. “My income as a doctor is not enough to sustain the needs of my family, so I decided to try opening stores for several times. It was hard for me to maintain them because I also work as a doctor in a government hospital. In the end, I had no choice but to close them down,” Dr. Salarda emphasized. When she discovered Gamot Publiko online, she entertained the thought of buying its franchise just to give it a try. “I realized that there’s a potential in having a drugstore business because medicine is a common necessity. People inevitably get sick, so they have to buy their medications,” Dr. Salarda shared. A year and a month later, the business proved to be a success. In fact, competitors within Project 6 folded because of Gamot Publiko’s success in the community. This gave Dr. Salarda the opportunity to set up another franchised outlet in Sta. Mesa, which opened in November 2013. One might wonder, how can she still manage both franchised stores while also working as a doctor and a radiology professor at the Philippine College of Radiology (she’s also a member of the board of directors)? She said she relies on partnership. Dr. Salarda hired a pharmacist and assigned him to be the general manager of the stores. “I asked Yves (the pharmacist) if he wants to become the general manager of my Gamot Publiko outlets in Project 6 and Sta. Mesa. At first, he was hesitant, but after much persuasion, I was able to convince him,” she said. “He’s a responsible worker, one of my most trusted employees. I’m assured that the drugstore is in good hands if he’s managing it, and the work he’s done so far has been a big help to me,” she added. 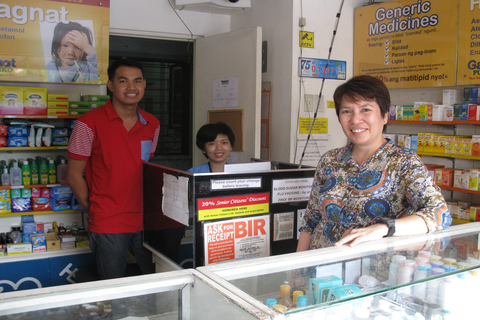 Practicing in a government hospital for more than two decades now, Dr. Salarda sees her business as another way to help the less-fortunate residents in their area through selling them low-cost generic medicines. She and her husband, who is also a doctor, also conduct regular free clinic in their neighborhood. “We set up tents in our backyard for the monthly free clinic. We advise them on what medicine they should buy. But we emphasize that they can still buy their medicine elsewhere. However, they have proven that their loyalty is with Gamot Publiko. Thus, most of the time, they still buy from us,” Dr. Salarda pointed out. Just like Dr. Salarda, you can also own and operate your own Gamot Publiko franchise. For inquiries, visit the generics pharmacy’s online directory listing here.